Data centers are under unprecedented threat from hackers, malware, and insider threats. Yet modern data centers require security that doesn't compromise speed, performance or functionality. 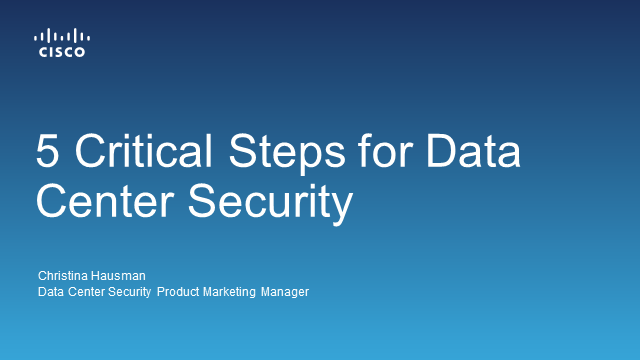 Join the data center security webinar "Five Steps to Protect Your Data Center Against Cyber Threats" and learn how to secure your data center and achieve consistent security across physical, virtual, and cloud environments.